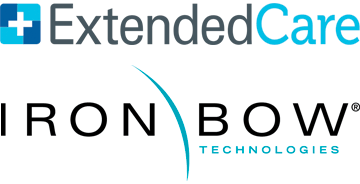 April 8, 2019 – ExtendedCare Solutions, a healthcare technology software provider and business of the Dillon Kane Group, and Iron Bow Technologies, an information technology solutions and global managed services provider to healthcare, commercial and government markets, today announced a strategic partnership to integrate ExtendedCare’s telehealth software with Iron Bow’s CLINiC™ device. This strategic partnership promises to improve both clinical and operational outcomes. ExtendedCare’s telehealth software can now integrate with Iron Bow’s CLINiC, an industry-recognized clinical consultation device, to support convenient, easy-to-use video consults between patients, clinical teams, and family caregivers. Together, the two industry leaders offer a powerful, convenient in-hospital clinical solution that includes flexible hardware and peripheral device configurations. The joint offering helps improve the patient experience and provides better outcomes by giving everyone involved – clinicians, patients and family caregivers – a collaborative care environment with unparalleled video capabilities. Meet the joint ExtendedCare and Iron Bow team at the ATA Annual Conference and Expo in New Orleans, LA, April 14-16, 2019, Iron Bow Booth #701. Follow our conference activities on Twitter @IronBowHC. 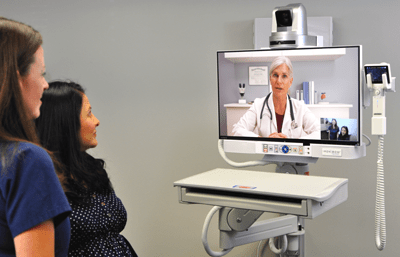 ExtendedCare Solutions provides a comprehensive suite of video-rich digital solutions connecting patients, clinicians, and family caregivers in collaborative environments improving the delivery and value of care. ExtendedCare is a business of the Dillon Kane Group, a Chicago-based group of affiliated companies providing innovative technologies for diverse industries since 2002. More than 300 Dillon Kane technologists, strategists, and subject matter experts are currently developing tomorrow’s digital automation and communications solutions. Iron Bow Technologies is a leading IT solution provider dedicated to successfully transforming technology investments into business capabilities for healthcare, commercial and government clients. Our depth of technical expertise, global reach and strategic partnerships with industry leaders as well as disruptive technology partners uniquely positions Iron Bow to target the right solution to ensure your successful business outcomes. We partner with our clients from planning and implementation through ongoing maintenance and management to deliver solutions that are strong, flexible and on target with your mission. Regardless of how your organization consumes technology, Iron Bow provides the leadership to drive innovation. © 2001 - 2019 Dillon Kane Group • All Rights Reserved.